Mouse Paint by Ellen Stoll Walsh: A playful lesson in primary colors. 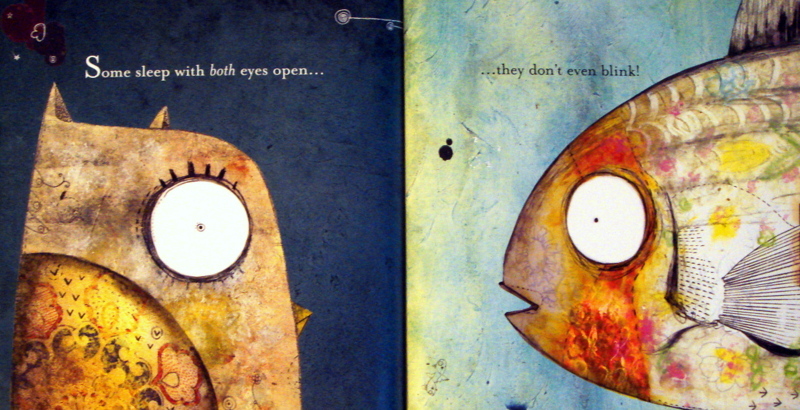 This lighthearted, simple story is also a lesson in primary colors. Three white mice are able to conceal themselves against a sheet of white paper and become invisible to a sleek, gray cat. 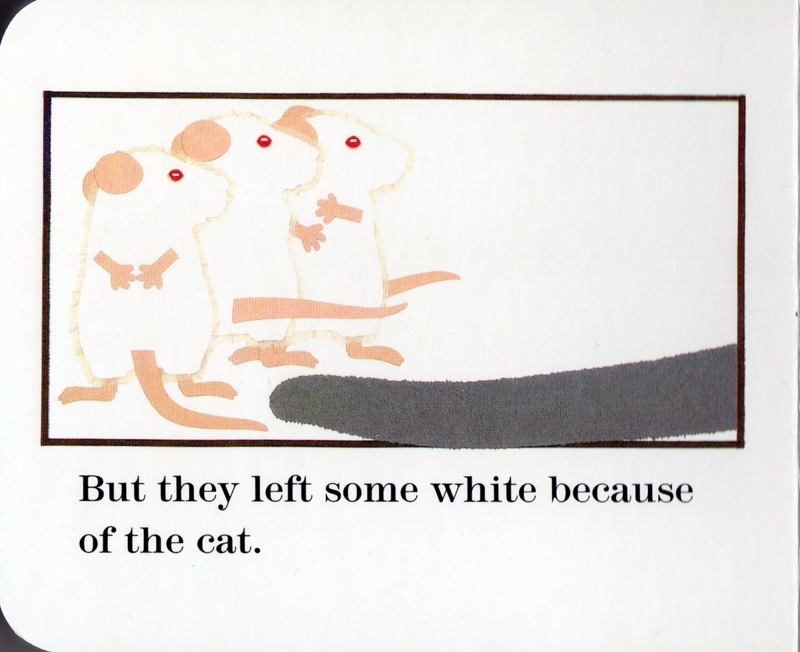 But when the inquisitive mice discover three paint jars—one red, one yellow and one blue—they nearly blow their cover! Thinking the jars they’ve discovered are for painting themselves, the three adventurous mice jump right in. 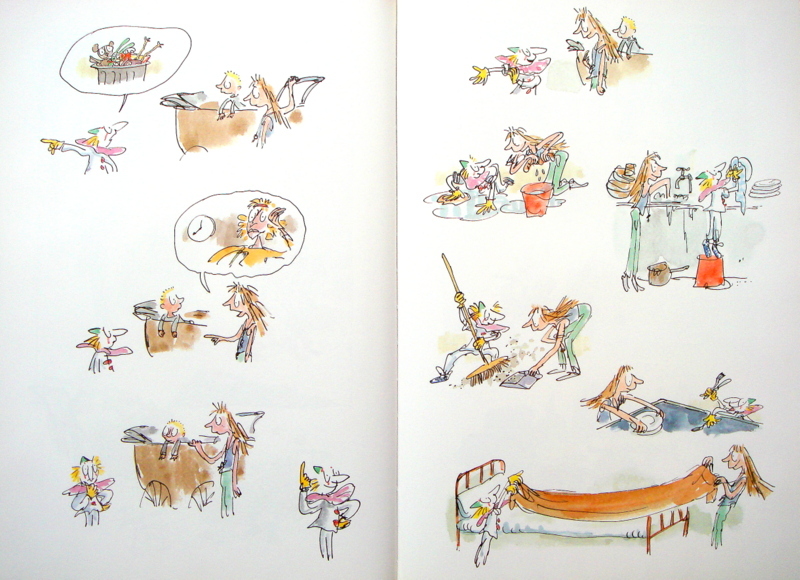 Their paint drips onto the paper creating bright puddles of color, inspiring the mice to play. As each mouse—boldly adorned in a primary hue—dances, hops or jumps in the puddles, new and wonderful colors are created. 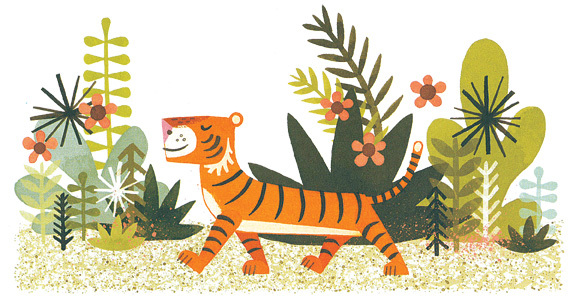 The illustrations, done in cut-paper collage, are set against a white background and clearly differentiate each vivid color. The clean and unembellished design is incredibly pleasing; Walsh manages to make a seemingly basic array of primary and secondary colors seem like a celebration. 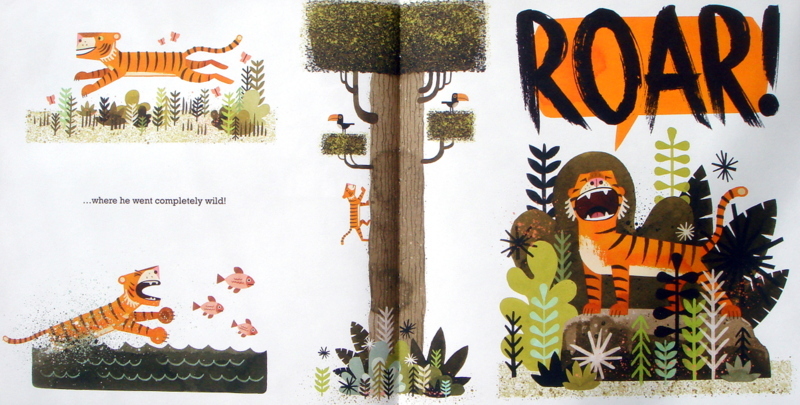 Each lesson in color mixing is given two full spreads, allowing children time to process how the new colors are made. After all the playing in the paint, the mice are feeling sticky and give themselves a bath in the cat’s water bowl. Readers are given a helpful reminder on how to create the new colors when the newly cleaned mice decide to continue painting. This time they use the paper instead of themselves and, learning from their past experience, they leave a little bit of white so that they may continue hiding from the cat. Walsh’s masterful technique at introducing a basic concept is quite likely to prompt little ones to explore color and art, painting and drawing. 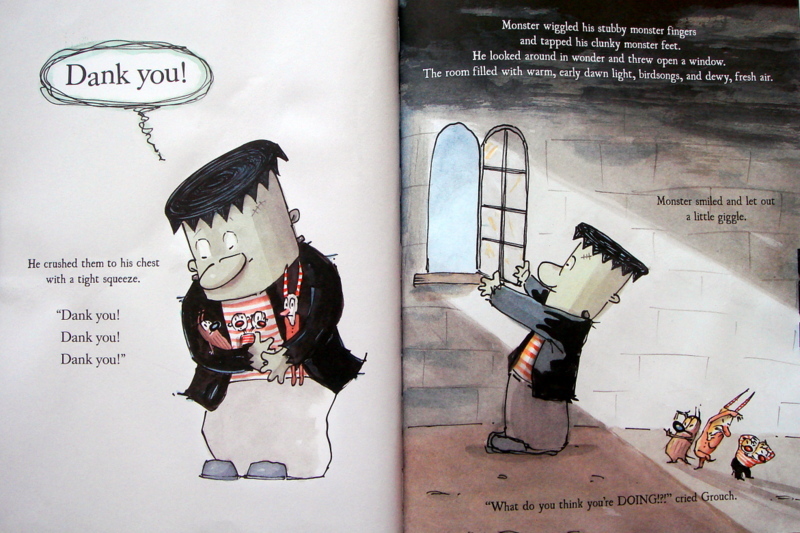 The Monsters’ Monster and Frankenstein: Two wickedly fun picture books for Halloween. 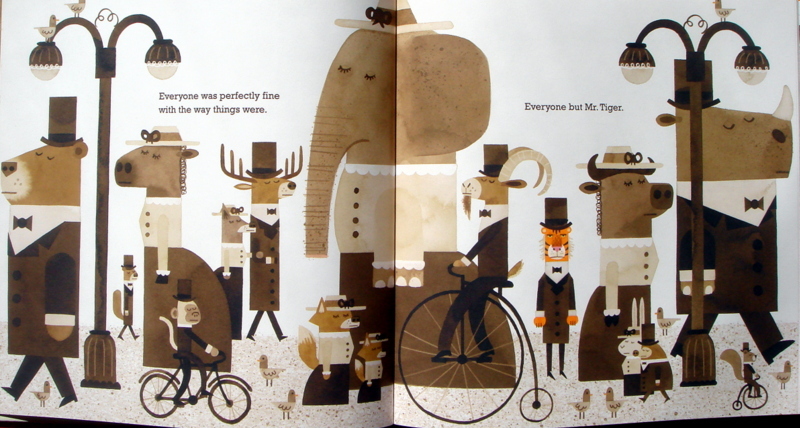 Patrick McDonnell’s picture book, Me…Jane, was a 2012 Caldecott Honor book. Taking anecdotes from Jane Goodall’s autobiography, he tells the story of Goodall’s childhood, her beloved toy chimpanzee and her early fascination with the natural world. It is a splendid and captivating book and one I highly recommend. 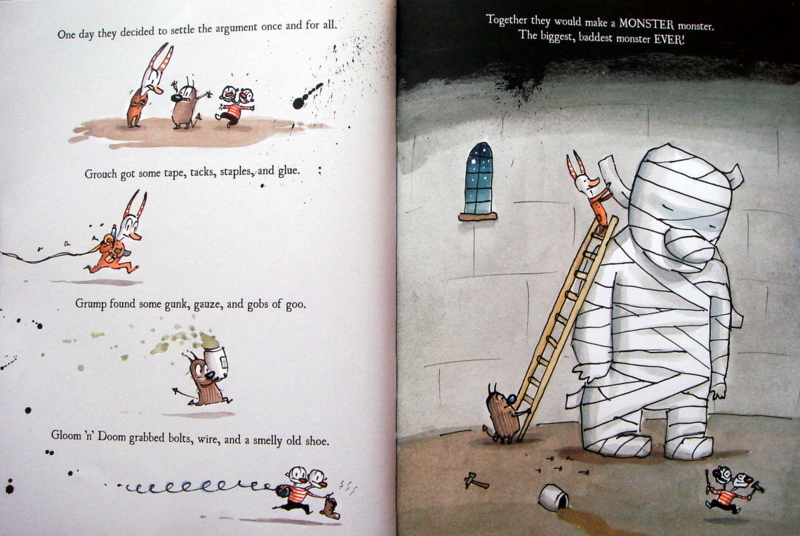 The Monsters’ Monster is charmingly sweet and another must have from this creator. His art is luscious, and his storytelling is pitch perfect. Three (rather small) monsters—Grouch, Grump and Gloom ‘n’ Doom—lived together in a dark castle high atop a monster-y mountain. Every day the three brutish beasts would argue over which of them was the loudest complainer, or the most miserable. The three giddy monsters could barely contain their excitement as the growling giant stumbled toward them. The monster’s Monster, built to be a big, bad menace, was anything but. He was so happy to be alive he threw open a window and giggled. Next he greeted every bat, rat, spider and snake in the castle. When he crashed straight through the castle wall and went down to the village below, Monster’s architects followed in amazement. 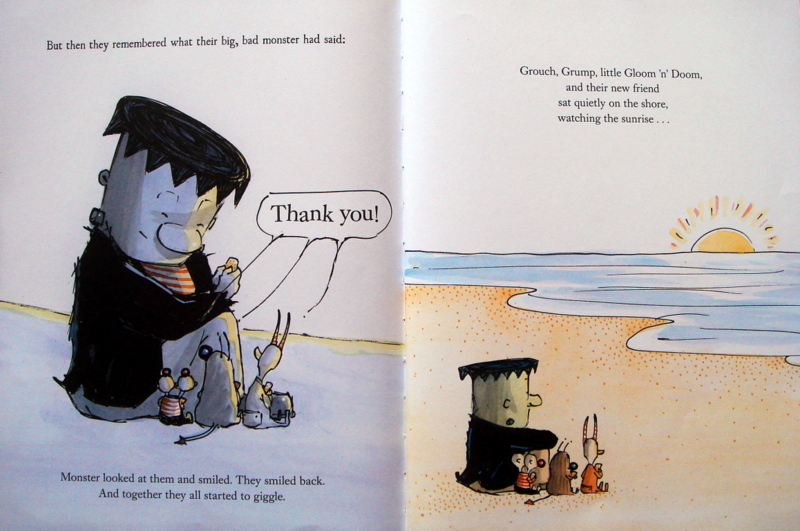 Then Monster clomped out carrying a paper bag and headed toward the beach; Grouch, Grump and Gloom ‘n’ Doom followed after him. 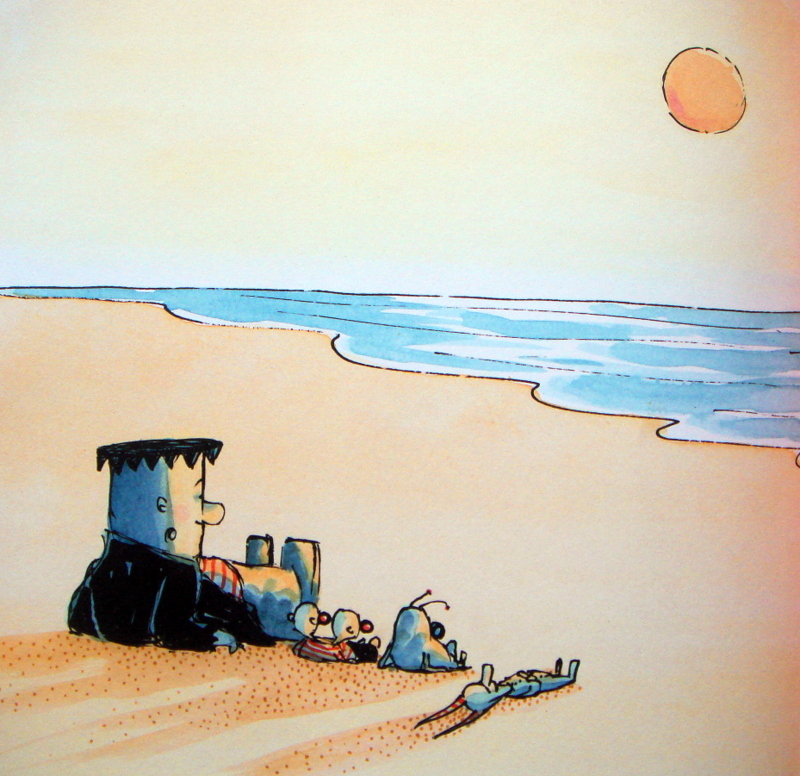 When Monster arrived at the beach he sat down in the cool sand. Shortly after, the three perplexed and tired monsters collapsed around him. 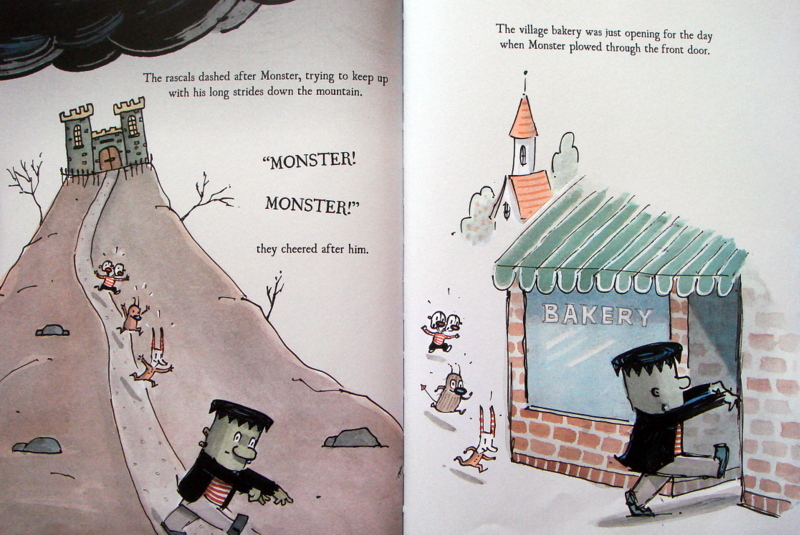 Then Monster gently patted them on their heads and gave them each a warm, powdered jelly doughnut from his bag. At first the three brutes were stunned into silence but then they repeated what they’d learned from Monster. “Thank you!” they said, and the four friends sat and quietly watched the sunrise and none of them thought about how monstrous they could be. 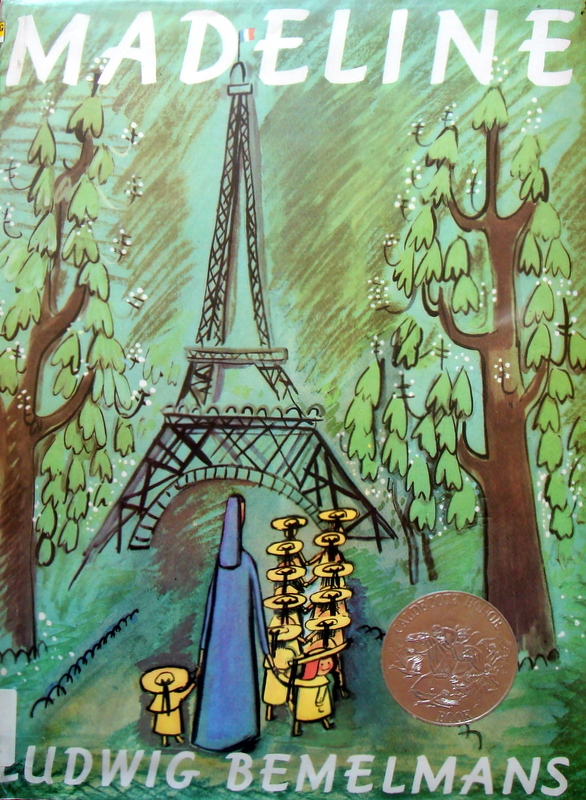 One night Miss Clavel senses a disturbance in the house and soon discovers Madeline in distress. The wee girl is rushed to the hospital and promptly has her appendix removed. 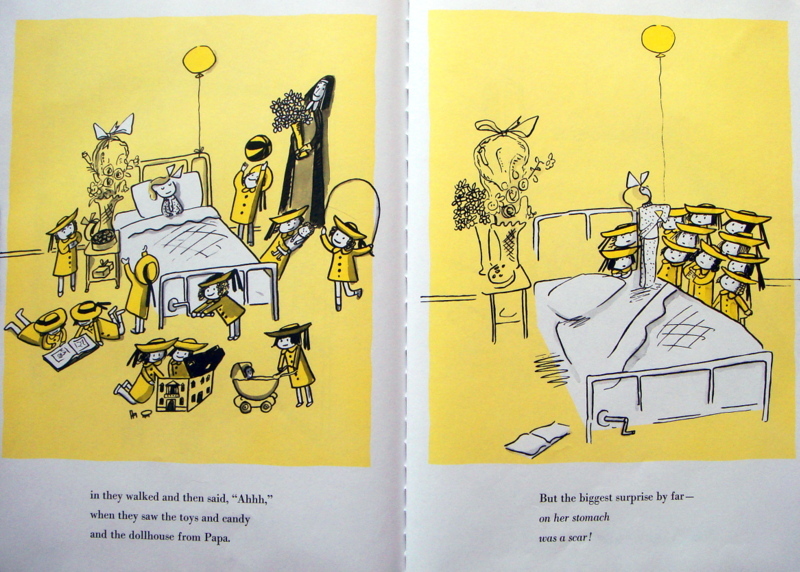 Some days later, Miss Clavel and the girls go to visit Madeline in the hospital. The girls covet the toys and candy that fill Madeline’s room but when they see her scar from the surgery they are beside themselves with envy. In this delightful parody, the completely adorable main character lives in a creepy old castle with eleven other equally cute monsters. 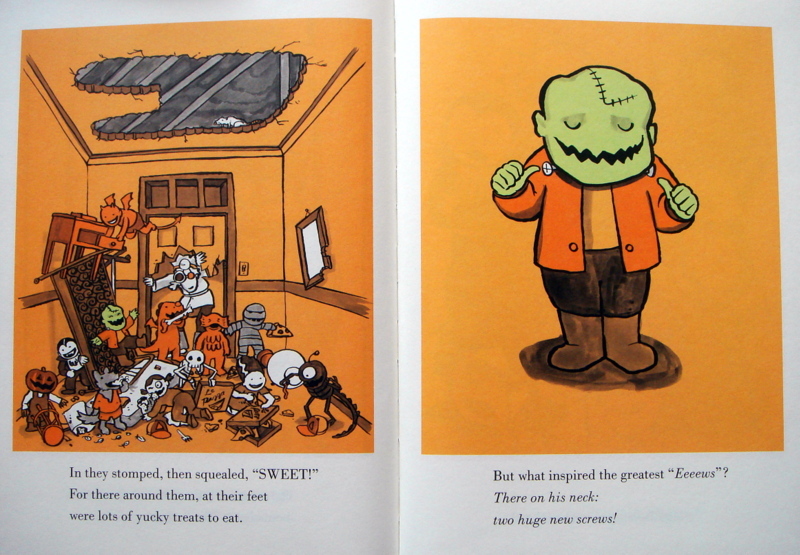 “The ugliest one was Frankenstein.” In the spirit of all things Halloween, the artist uses a variety of orange hues (the illustrations in Madeline were awash in yellow). She soon discovers that Frankenstein has lost his head! 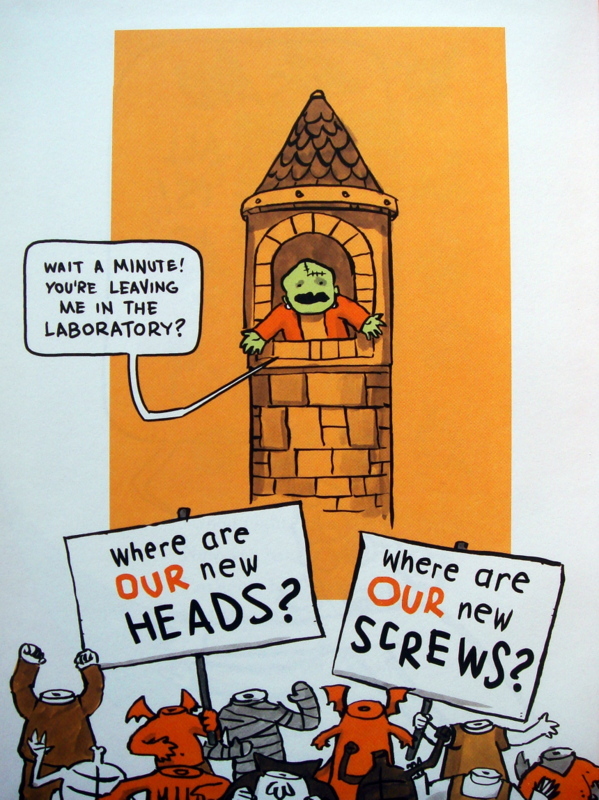 He’s quickly taken to the laboratory. Upon awakening, the formerly decapitated monster finds he’s been given a brand new head, bolted on with two shiny, metal screws. 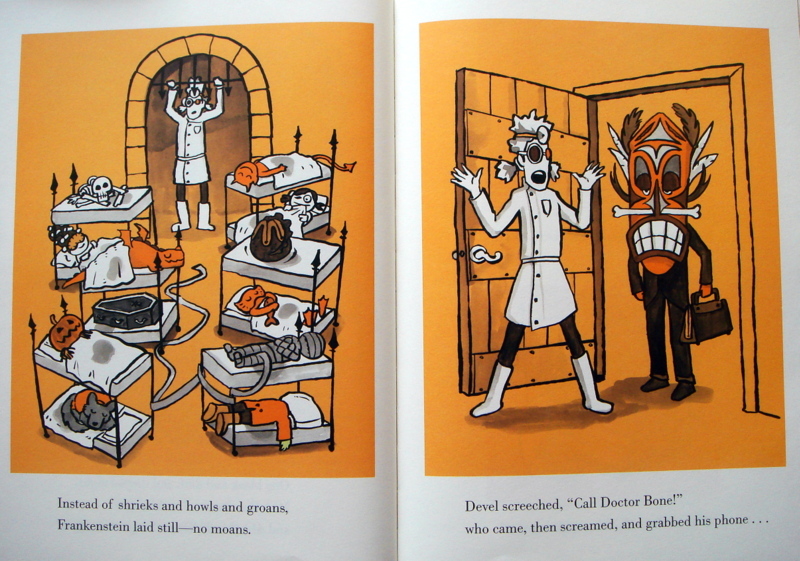 Without delay Frankenstein eats most of the hospital staff, the ceiling fan and a pizza man. Later that night, back at the castle, Miss Devel knows something is amiss once more. Rushing to the monsters’ room she hopes for no more disasters. 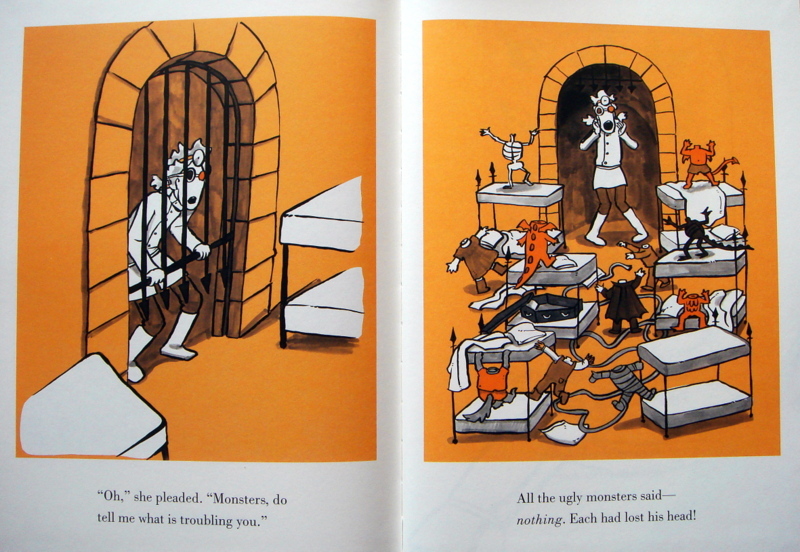 She opens the gate to discover that all of the monsters have lost their heads! 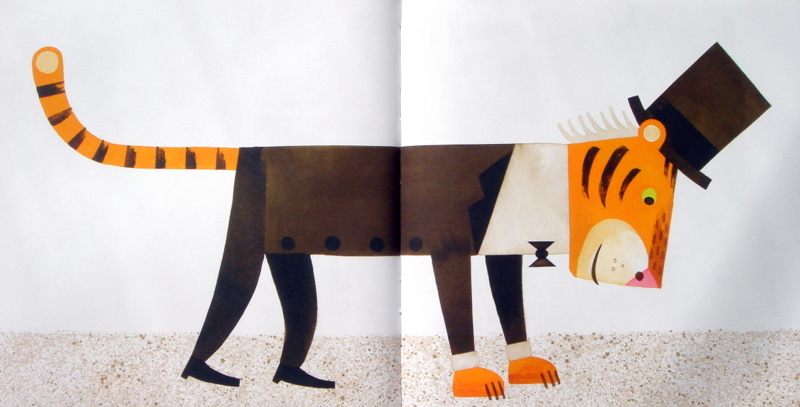 Most parody picture books don’t deliver on their promise to entertain. 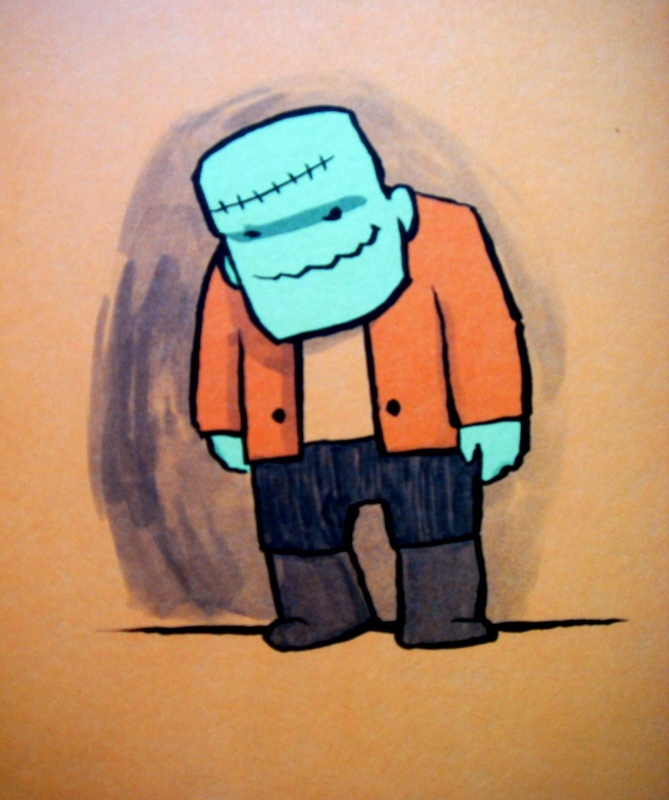 They either fall flat or are entertaining for one reading only—but Frankenstein is a wonderful exception to that rule. Fans of Madeline, monsters or Halloween will giggle with glee at this hysterical and thorough parody. 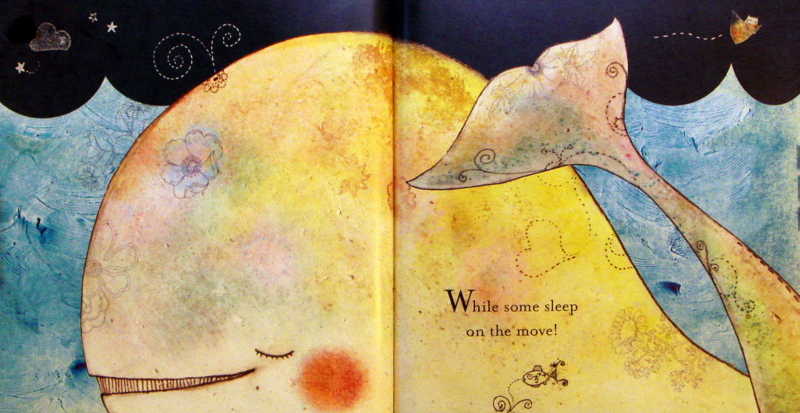 A Book of Sleep by Il Sung Na: A beautiful slumber inducer. 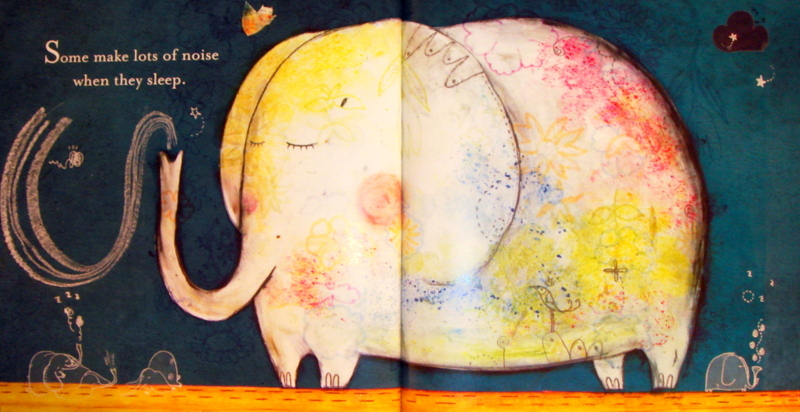 In Il Sung Na’s first picture book, A Book of Sleep, he utilizes a mix of hand painting and computer enhancement to create soothingly beautiful illustrations. Intricate designs and complex textures are etched into his bold, simple artwork; lovely little details implore the reader to fully inspect each spread. 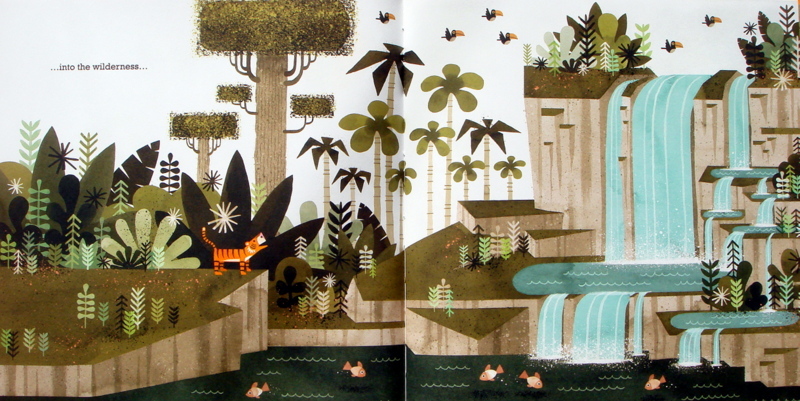 His rich, saturated palette captures the blue hues of night and, in the last two spreads, the golden brightness of day. 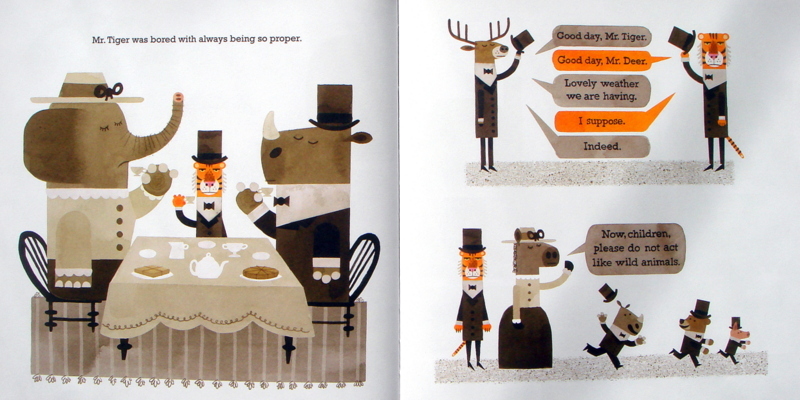 The simple, direct text describes the different ways in which several animals sleep—an ideal topic for bedtime. 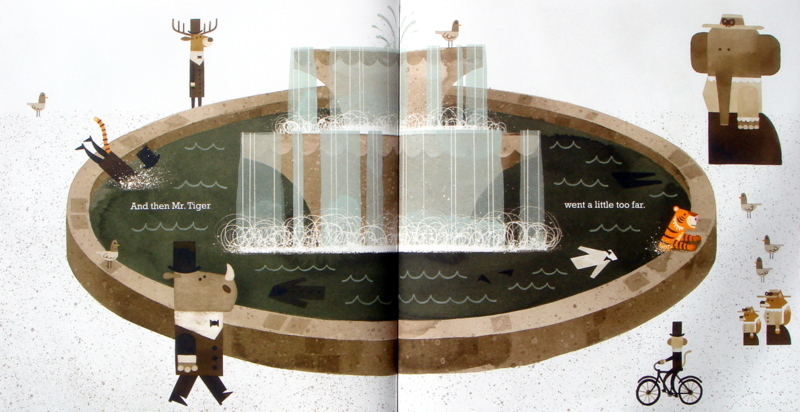 Over the next several pages, readers learn that some animals sleep in peace and quiet; other animals make lots of noises. Some animals sleep standing up, while others sleep on the move. There are animals that sleep with one eye open and some that sleep with both eyes open! Some animals sleep alone; other animals sleep huddled in groups. 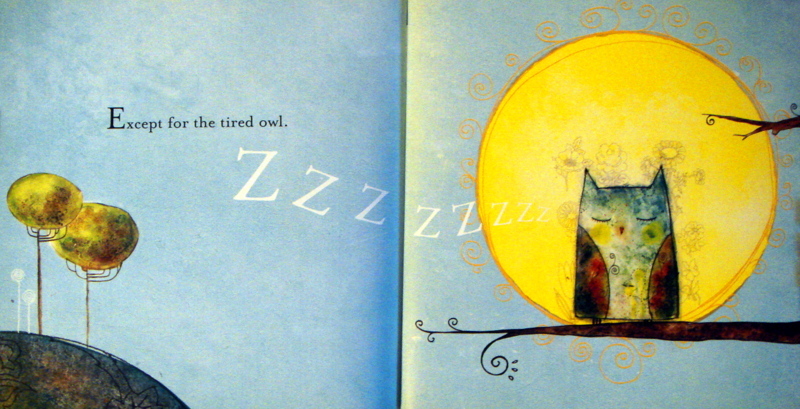 The sharp-eyed owl appears throughout the book—sometimes sitting plainly on a tree branch, sometimes hidden among the slumbering animals—and children will delight in locating the hidden observer. Na’s gorgeous art engenders peaceful feelings; the serene nighttime scenes will surely set the stage for little ones to demonstrate favorite sleeping positions of their own. 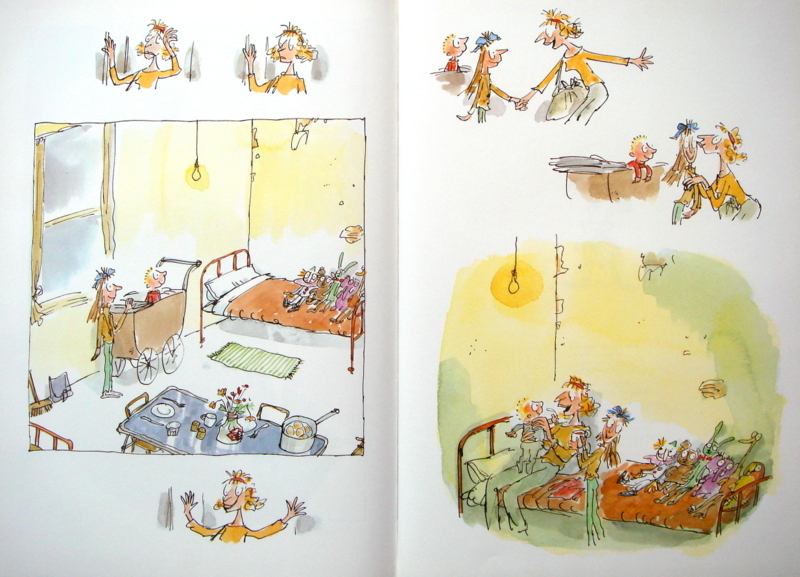 I read today of the passing of children’s book illustrator Marc Simont, who died on Saturday, July 13, 2013 at the age of 97. 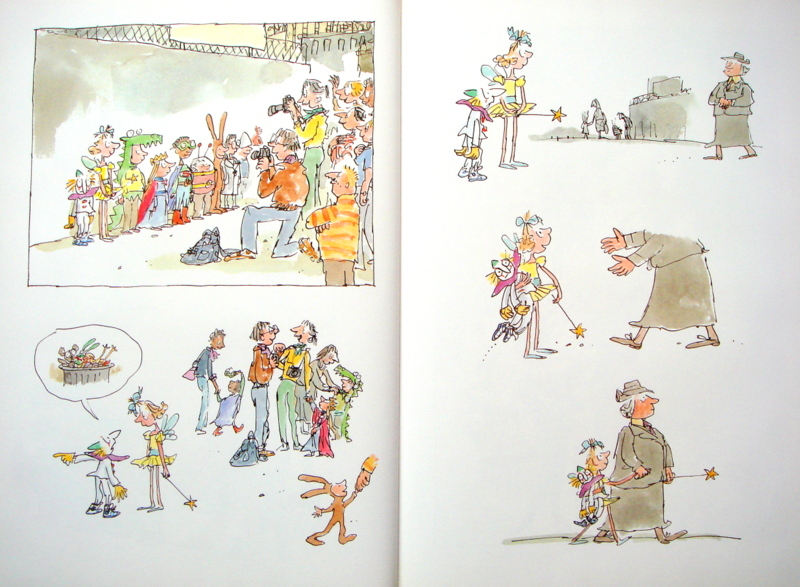 Mr. Simont was a gifted artist, an adept story teller and a kind and gentle man; I was fortunate enough to have met him during my time at Books of Wonder. So far, he is the most reviewed person on TurtleAndRobot.com with four full reviews. 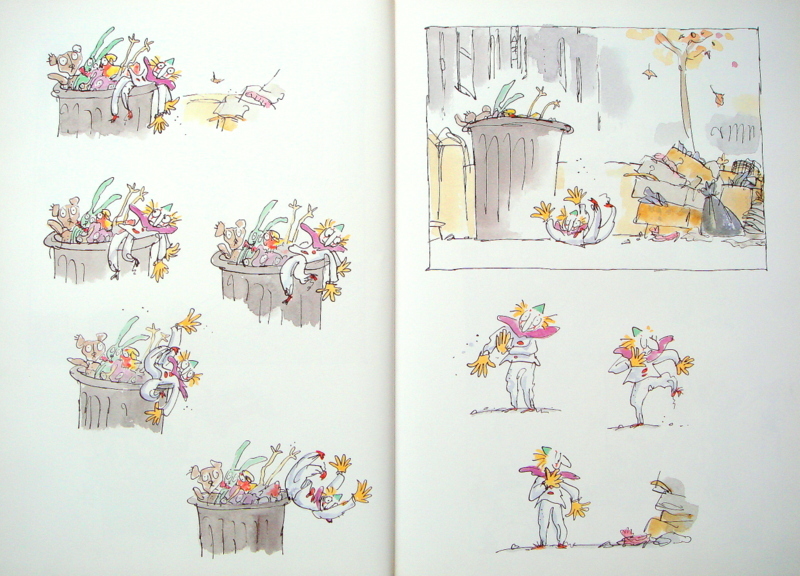 Additionaly, his book The Happy Day was mentioned in both 15 Favorite Picture Books about Spring and Top 20 (plus one) Books About Snow. 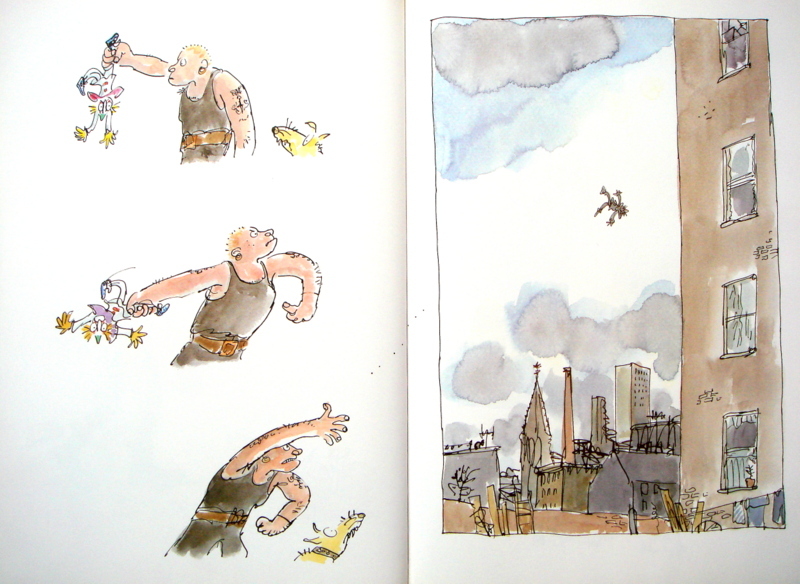 I adore his work. 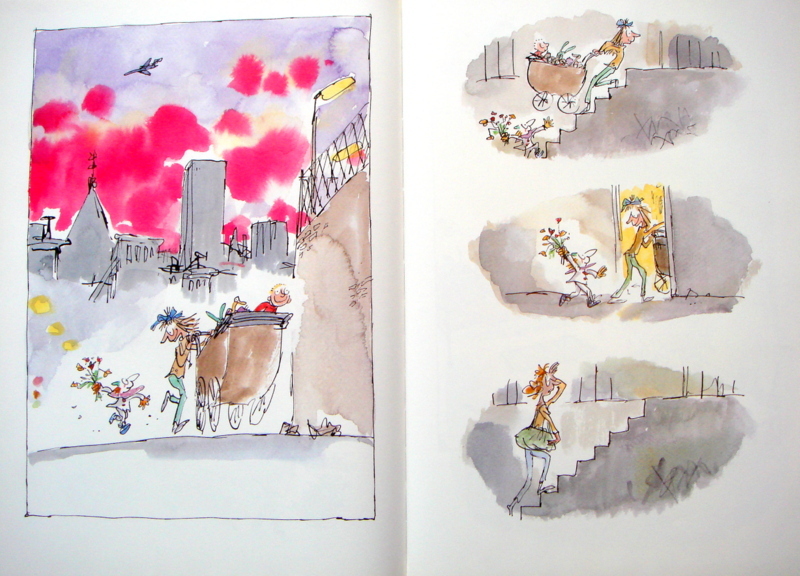 The world—of art, of children’s books, as a whole—is a better place for having had him in it.